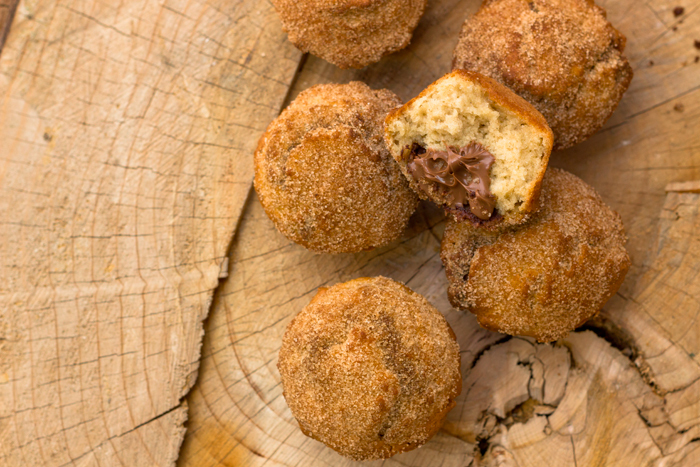 A quick and easy recipe for cinnamon muffins stuffed with Nutella and then covered with a cinnamon sugar. It feels like I haven’t baked anything for ages! So this morning I decided that today was definitely going to include baking. I had a look around for inspiration and decided on some baileys cupcakes. So we got up early, wrote the shopping list and went to a few garden centres to try to find some roses to plant outside the front door. Then we went to meet friends for lunch. It was so lovely sat in the beer garden that time ran away with us and we didn’t leave until just gone 4 meaning the shops were closed. The Baileys cupcakes will have to wait…maybe I’ll have time midweek! I had 2 eggs left so searched for a recipe where I had all the ingredients and this one came up. 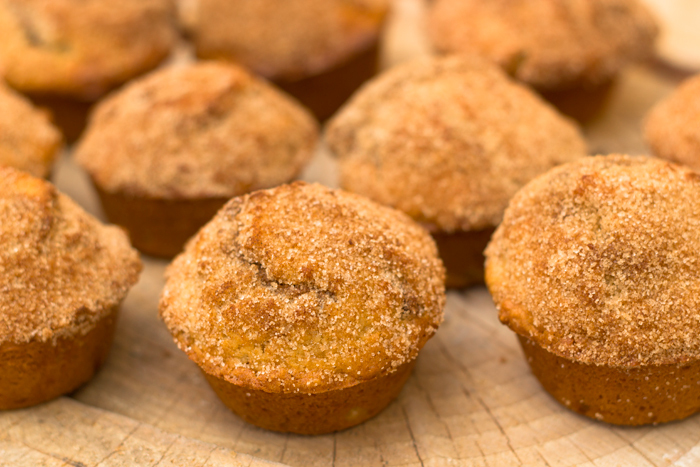 I don’t make muffins very much, but these are so easy! Honestly….you can mix it all up in one bowl. And they are super quick as you don’t have to ice them. 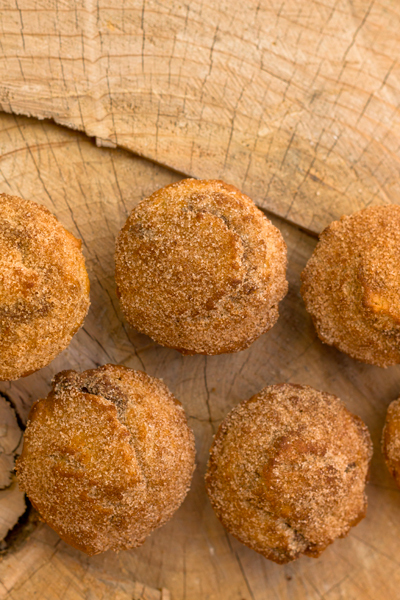 Just dip then in a yummy cinnamon sugar. My husband doesn’t actually like Nutella so I kindly substituted this for Cadburys Chocolate Spread. Stir in the flour, baking powder, cinnamon, nutmeg, and salt. Spoon 1 heaped tablespoon of muffin mix into each muffin hole in the tray. Layer with 1 tsp Nutella in the centre and then top with another teaspoon of muffin mix. Leave the muffins in the oven and reduce the oven to 180C. Bake for a further 13-15 minutes until a skewer inserted into the middle comes out clean. Allow the muffins to cool for about 5 minutes. 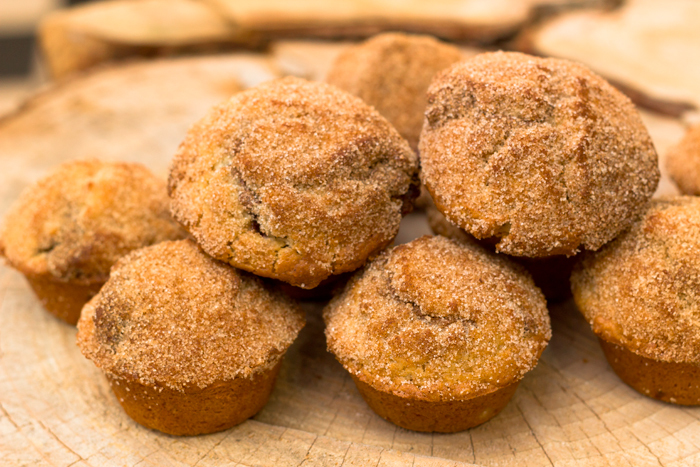 Dip the top of each muffin into the melted butter and dip into the sugar mixture – make sure each muffin is well coated. 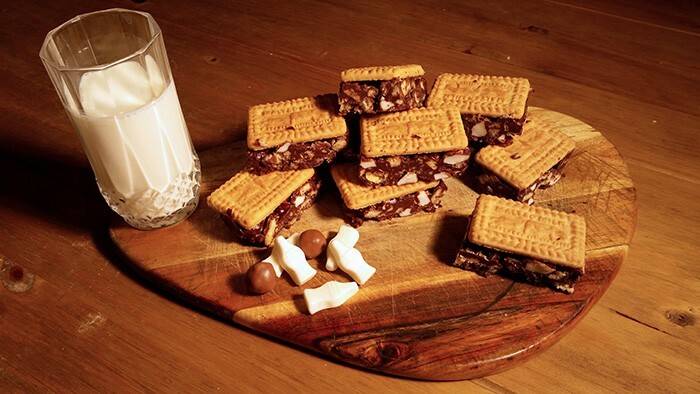 These are so moreish! I just had one that was still warm and it was amazing. I’m sure they could be warmed in the microwave for a few seconds to re create this. Perfect with a morning tea or coffee! Oh and I found this great conversion table today – really helpful!